Welcoming and abiding by the judgment of the Rajasthan High Court in recommending the Centre that the cow should be made the national animal, the Rajasthan High Court on 31 may stated that cows deserve respect similar to that of parents. "This issue is related to sympathy, conviction and faith that why protecting and respecting the cow is an important factor. We should come up in protest to this, only then we can safeguard our animals. 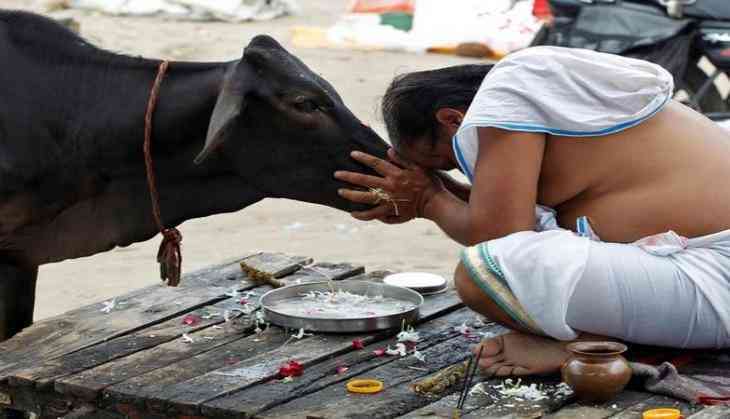 The way we respect our parents we should respect cows," Rajasthan High Court Justice Mahesh Chandra Sharma told ANI. Earlier in the day, a hearing over the Hingonia Gaushala matter recommended the Centre that cow be made the national animal, adding that the punishment for cow slaughter should be escalated to life imprisonment. Anti Corruption Bureau (ACB) and Additional director general (ADG) of police has been ordered to prepare report every three months on cowshed and the court has also directed Urban Development & Housing (UDH) Secretary and municipal commissioner to visit once every month. Sharma has also instructed the forest department to plant 5,000 plants in the cowshed every year. The judgement comes in the wake of the Centre's order on ban on sale of cattle for slaughter, which is facing a strong opposition by the state governments of Kerala, Karnataka and Tripura. Earlier last year, following the death of over a hundred cows in the past few weeks at a government-run cowshed in Jaipur, the Rajasthan Government had sought a report on the matter and vowed to improve the situation in Hingonia Gaushala. Reports said the death of cows was due to alleged lapse in maintenance of cowshed. "The Chief Minister has asked for report on Hingonia Gaushala. We are drafting a road map and action plan to improve situation there," said Rajasthan Minister Rajendra Rathore. According to reports, the authorities initially said the cows which died were already unwell and suffering from malnutrition. There are over 8,000 cows at the Hingonia Gaushala which are taken care of by a team of 14 veterinarians, 24 livestock assistants, and about 200 other staff.